I am currently working a Vray base shader for dielectrics and metals that has a similar response to the PBR implementations from Marmoset/Unreal/Substance. The purpose of this is to have a material that responds well in different lighting conditions, and that is driven by plausible parameters based on physical measurements. It currently supports both metallness/gloss and specular(F0)/gloss workflows, along with micro roughness control, and should make the texturing process a lot more easier and consistent between different projects. Usage: Import the shader through the Maya Hypershade window (File>Import). 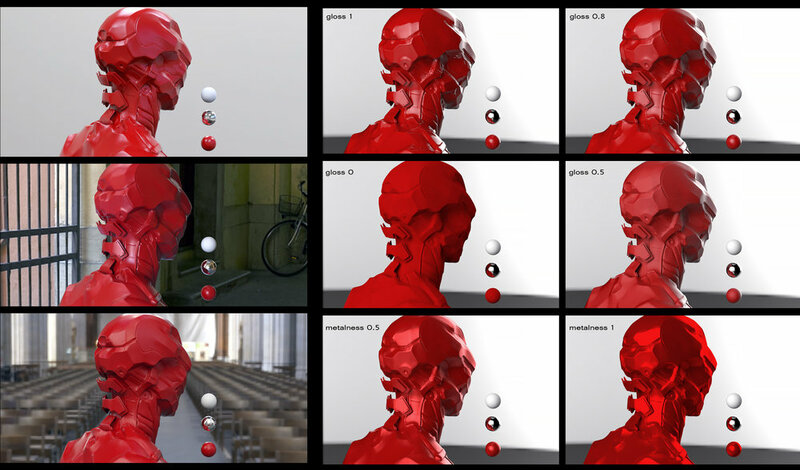 The shader is made for LWF (gamma 2.2) and supports both mentalness and specular workflows. The fresnel component is remapped to allow full F0-F1 control, and the F1 component is sensitive to glosiness changes to account for the microfacet normal changes.